Our APP works as a wallet and exchange and more! PXOS Token (PX) can be used as any other utility token, to buy music from our MVPS music app, build apps on PXOS blockchain or any service App build using XConsensus. "WPX" will be release as soon as we get approval from regulators the exchange is an effort to bring commission free exchange to everyone. Once PXOS user downloads the WPX wallet and set up an account, he/she will be able to buy, sell, directly to any linked account (credit cards, bank accounts, etc.). The funds will automatically convert into the local currency of your choice, for example, US Dollar, Mexican Pesos, Euros, Pounds, etc., no fees added other than the gas or hashing fee used to make the blockchain transaction. 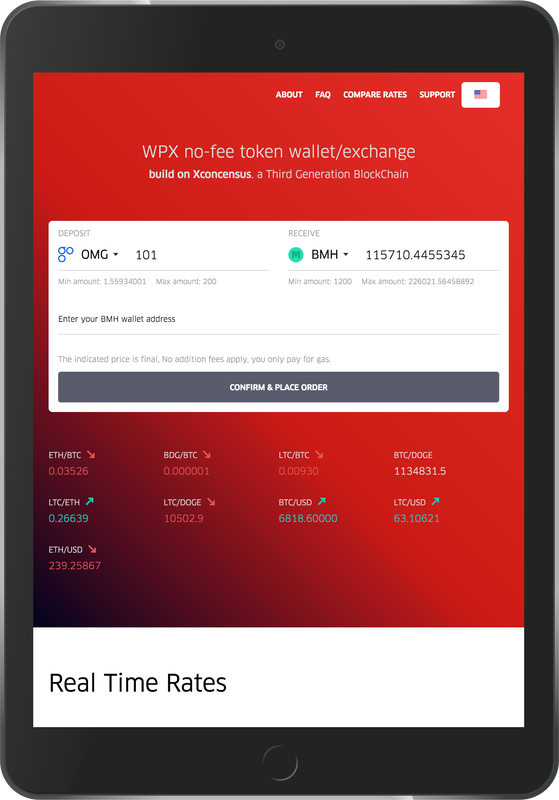 PXOS Wallet APP "WPX", can be used as a bank account, you can check your balance of every token owned, our app is to be released soon, come back for updates.